I have a serious mental illness. Specifically, I have bipolar disorder. I have been navigating how mental illness is treated for 18 years. And I strongly believe that how we treat mental illness is all wrong. One of the biggest mistakes in how mental illness is treated comes from the healthcare system. Unfortunately, we treat mental illness as if it is separate from all other illnesses. Somehow, “mental” doesn’t mean “physical” to the healthcare system. But what is clear is that “mental” illnesses are diseases of the brain. It is also clear there is no physical wellness without brain wellness. No one would ever argue this point in the case of a brain injury and people shouldn’t argue it in the case of a brain illness either. Moreover, mental illness care tends to be siloed. In other words, those who treat mental illness aren’t treating the rest of the body, and care information is not being shared between professionals. This is a huge problem for patients. For example, if a person smokes cigarettes, more common in the mentally ill population than anywhere else, who should handle his or her smoking cessation care? And shouldn’t all healthcare professionals know about this effort, particularly considering that efforts to stop smoking may require medication? Luckily, we know that when mental illness is treated as a physical illness and considered alongside other aspects of physical well-being, it does get better and overall health gets better. Putting people with mental illness on a par with everyone else in the healthcare system can bring us up and forward in care. Another large mistake is that mental illness care is commonly given by general practitioners. While general practitioners are, typically, the first healthcare professionals that a person with a mental illness will see, they shouldn’t be the last. General practitioner are just that – general – they know a little about a lot of things. But they are not specialists and psychiatry is a specialty. No one would suggest that a general practitioner treat a specialty like cancer, and mental illness needs to be treated the same way. While it can be difficult to provide enough specialized psychiatric care in some places, it is worth encouraging, particularly for serious mental illnesses. Finally, there is the issue of research dollars. While organizations all over the world do work on trying to improve the outlooks of those with mental illness, they do not get the same kind of funding as other illnesses do. Particularly when one considers that the seriously mentally ill, for example those suffering from bipolar and schizophrenia, lose between 15-20 years of their lives because of their illnesses, these illnesses should be considered a societal epidemic and a major priority, not something that should just get leftover money. I believe it is because society, predominantly, still looks down on those with mental illness, and many still feel that these illnesses are somehow our fault, that they are not considered a priority. People still consider it okay to discriminate against those with mental illness and this carries over into research dollars. People still think the mentally ill can’t maintain full-time jobs and so hiring us is “too risky.” People still think it’s okay to discriminate against the mentally ill seeking housing because we won’t pay our rent. And while these things aren’t true – I’ve disproved them personally as have many others – it’s a societal view that these are realities. These views harm how people with mental illness are treated and minimal research money is just part of that discrimination. While these are large, systemic problems in the treatment of mental illness, there is no reason why they have to continue forever. 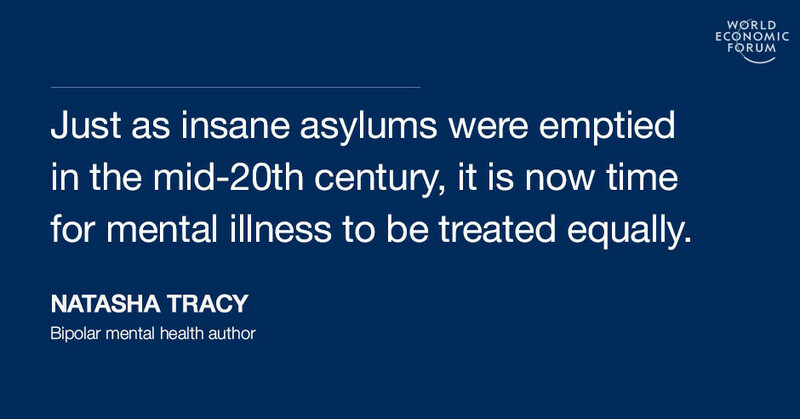 Just as insane asylums were emptied in the mid-20th century, it is now time for mental illness to step further into the light of society and be treated equally. This is not an easy thing to do. It will require effort from society, governments, healthcare systems and more, but globally we are making strides and we can make more. Medscape, Bipolar Affective Disorder . Accessed September 18, 2016. Medscape, Schizophrenia . Accessed September 18, 2016. Wahlbeck et al., Outcomes of Nordic Mental Health Systems: Life Expectancy of Patients with Mental Disorders . The British Journal of Psychiatry . 2011.